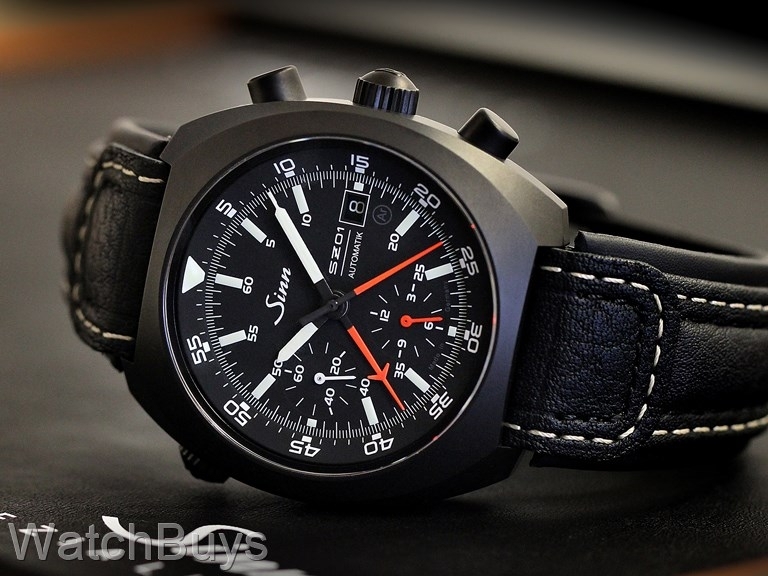 The Sinn 140 St Black features an all Tegimented case construction. Normally, watch cases with applied PVD are subject to increased risk of cracking because of the difference in hardness between the base metal and the PVD (eggshell effect). 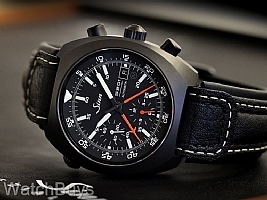 At Sinn, technology again has been used to not only solve a problem but to enhance a watch. Standard steel used by most watch companies has a hardness of between 200 and 240 HV (Hardness Vickers is a common scale used to measure material hardness). The Tegimented PVD layer on this watch has a hardness of 1,500 Vickers which is seven times harder than standard steel. The Sinn 140 St Black features 100 meters of water resistance and come equipped with a black calf leather strap with white contrast stitching and signed Sinn tang buckle.